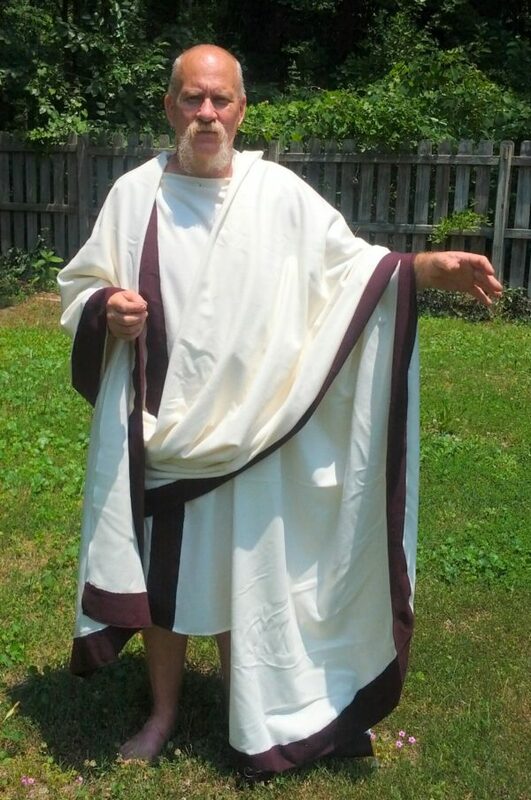 Toga 6 yards long and approximately 58″ to 60″ wide. Made from 100% bleached linen. Custom togas are also available. Call for more information. 32", 34", 34"-36", 36", 38", 38"-40", 40", 42", 42"-44", 44", 46", 46"-48", 48", 50", 50"-52", 52", 54"